Amanda is an accomplished professional with significant experience in higher education and the social service industries. Early in her career, Amanda was a social rehabilitation counselor, assisting individuals with developmental disabilities and chronic mental health needs to develop skills to lead fulfilling lives. She transitioned into the role of assessment coordinator, both providing assessments and overseeing the assessments and treatment plans for over 200 clients. Enjoying the ability to aid people in identifying and establishing a path and achieving their goals, Amanda transferred those skills into higher education. For the past 15 years Amanda has held various roles in higher education including employment and training coordinator, career services specialist, and student success counselor. In addition, she has consultant experience with a communications organization, providing thoughtful feedback to leaders looking to improve their public speaking. As a project manager, leadership ventures at the telos institute, Amanda leverages her diverse background along with her ability to see the whole picture and an eye for details to support every unique telos leadership venture that is conducted, both internationally and domestically. Amanda earned her Master of Arts in Counseling Psychology from Lewis University and a Bachelor of Arts in Criminal Justice from St. Xavier University. 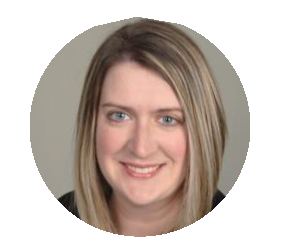 Amanda is a Licensed Clinical Professional Counselor, Certified Professional Resume Writer and a Gallup Certified Strengths Coach. Amanda resides near Chicago, IL with her husband, Peter and twin daughters.